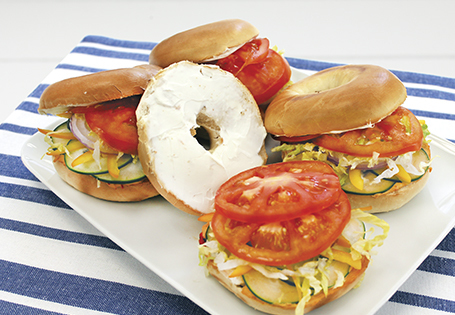 Slice bagels and toast until golden brown. Spread one half of the bagel with two tablespoons of hummus. Spread other half of bagel with two tablespoons of cream cheese. Assemble sandwiches with remaining ingredients.